SAVE £300 on retail price! Authentic Raymond Weil watch with box, papers and manufacturers warranty! One only at this great price! 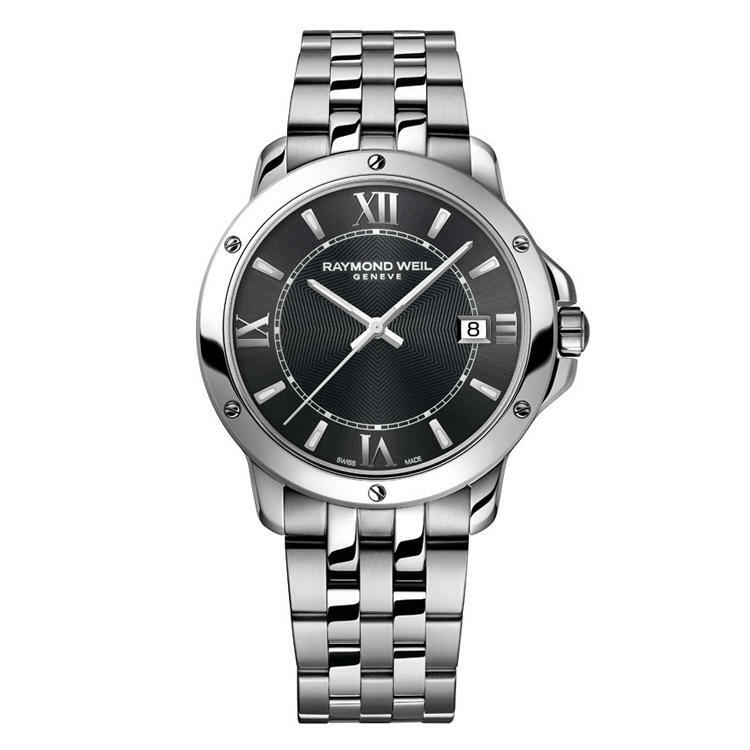 Raymond Weil Watch Tango Mens. With its refined and sensual lines, the Tango collection undergoes constant evolution and tastefully adapts to its era to offer completely new designs. More contemporary, always just as elegant and gracious, Tango remains master of the art of the precision movement. Tango embodies the passion the watchmaker puts into achieving timepieces of both extreme sensuality and rhythmic perfection.